2012 September — Dayna Macy, author of "Ravenous"
“Today’s extensive coverage of the Embassy attacks underscores the true strength of NBC News as well as the significant talents of Matt Lauer, Savannah Guthrie, Natalie Morales, Richard Engel, Andrea Mitchell, Peter Alexander, Kristen Welker, Chuck Todd, among many others. We committed substantially more airtime to this important breaking news story than other broadcasts: from the first Today show reports at 7am ET… through a one hour-plus special report. “All week, Ann Curry has delivered unique coverage of the refugee crisis on the Syrian border. Simply put, this is the only news organization devoting this much attention to these kinds of stories. “Yesterday, we made an editorial call resulting in the September 11th moment of silence not being seen. While we dedicated a substantial amount of airtime to the anniversary events, we still touched a nerve with many of your viewers… and for that we apologize. At NBC News, have taken great pride in the manner in which we have told the stories of September 11th. From the first moments of the attack, as documented live on TODAY in 2001 … through every anniversary and development since, we are mindful of that legacy and our responsibilities. “This morning we had the opportunity to recommit ourselves to serious journalism and coverage. You’ve seen how brilliant Savannah and Matt are together.. especially when backed-up by the unparalleled strengths of this news division. We’re proud of our teams today… and continue to focus on presenting the best possible broadcasts and worldwide news coverage for your stations. Where do I begin? He never issued a public apology. This is a business memo to affiliate managers solely for “touching a nerve” with viewers, as if the viewers are oversensitive lugs. On top of that, it’s a pr sell job for Savannah and Matt (take that Ann Curry!). It’s got corporate biz speak all over it and only inflames an already hot situation. What was he thinking? Who advises these people? You don’t only apologize to your affiliate, you apologize to your viewers. Without them, you have no show. Why not come out with a simple (if not heart-felt) apology and say we erred? We honor all those who were killed and the heroes who tried to save them. We were wrong. And we apologize. Why are executives so afraid to admit when they’re wrong? Wow. Have you ever found a store where, if you could afford it and if the clothes fit you, you would wear practically everything in it? Seattle’s Totokaelo is that store for me! Whoever does their buying is a genius. Yamomoto, Rick Owens, Ann Demeulemeester, Rachel Comey, as well as lower priced lines like Complex Geometries. The clothes are mostly in muted palates, gorgeous fabrics, exquisite drapes. The shoes support the clothes, adding, and never distracting, from the total look. I know Totokaelo‘s aesthetic is not everyone’s cup of tea, but it is mine. These clothes are intelligent, beautiful, and carry a gravitas I find really appealing. My husband commutes to work from the Bay Area to Seattle. The next time I’m up there, I will make a pilgrimage to Totokaelo, boutique Mecca of the NorthWest. 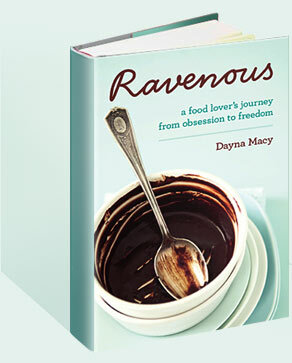 Today, for the first time since I published Ravenous, I miss writing. Really miss it. 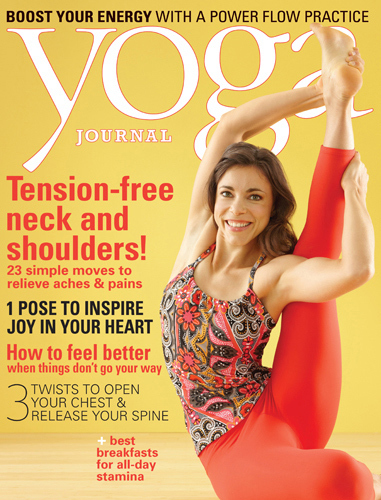 I still write, of course, like the magazine piece I just wrote for the October issue of Yoga Journal on yoga-friendly restaurants. I had fun writing this piece. I mean, I got to eat my way from SF to NY and write about it! But I’m finding myself hungry for more. Like writing another book. Or working towards performing again. Because ultimately, when I create, I meet myself anew. I learn something more about who I am, and how I make my way through this complicated beautiful world, and that is powerful. I’ve been thinking about what it means to be contented with oneself. I was recently sitting by a pool with some members of my extended family. One of them was describing her friend and said, “she’s a large woman, probably a size 12.” It was all I could do to remain civil. As I wrote about in my book, I worked hard to lose weight, mostly because I’m a lot healthier for it. I lost 25 pounds and have kept it off for two years. You bet I’m proud. But as I’ve learned, being thin and being at home in your body are two very different things. I looked at this person and said, “you know, I wear a size 14. And I feel beautiful and strong.” She looked at me suspiciously, as if perhaps I was lying to make myself feel better. I wasn’t. This culture has so much riding on our unhappiness. Why? Because we spend more money if we’re not happy, trying to buy the props that will make us feel better. After our conversation, I stood up, and, leaving my sarong on the chair, walked slowly into the pool.